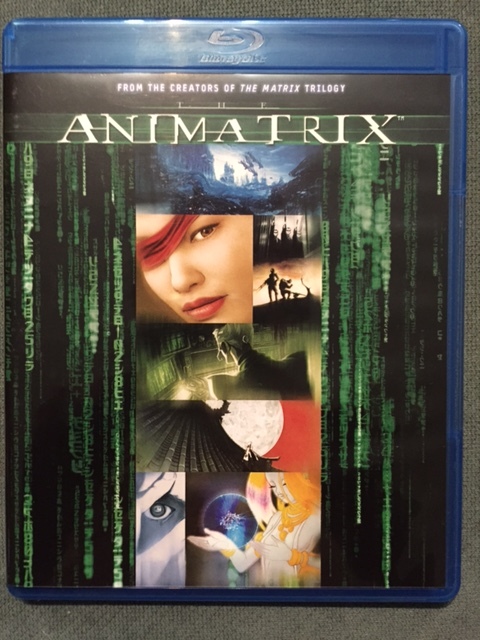 The Animatrix – an example I thought of but didn’t work into the post otherwise. More and more it seems that stories are crossing from one medium to another. This is done either by telling the same story in a different medium or continuing the story in a new medium. It is interesting when the story creators decide to take the story to a different medium to tell it. Now recently there have obviously been a lot of comic book stories, and books have been translated to TV shows and movies. At the same time TV shows and books have also been translated to graphic novels. Recently I think there has been an increase in this happening. I don’t know if this stems from a simple desire for more revenue streams or as a way to introduce the story to a wider audience. The big thing is that there are a couple of different ways that this medium crossing occurs. One of the first things that kind of has to be decided though is what is the core or main story and which medium does that story exist in. Then you can tell what the cross points and off shoots are and pinpoint how they connect. On our poll of what we should do for an alignment grid, the top result was the Marvel Cinematic Universe. Well, I tried to come up with one for the MCU, but that is a tough nut to crack. A lot of characters, so how to pick? I didn’t pick yet. Instead, I did one just from Guardians of the Galaxy. I hope you enjoy. For more of an explanation of alignment grids (and for several examples), please check out this post. And if you have comments on this one, or ideas for a Marvel Cinematic one, let us know in the comments below! This weekend we went to see Jupiter Ascending, something we were debating doing. In the end, all the reviews telling us the movie was terrible, you should see it made the difference! I feel like reviewing the movie is pretty quick and easy for me. I did not find it as bad as some did. I definitely feel like the ideas – both story/world ideas and visual ideas – were much better than the character interaction and dialog. And maybe their biggest problem is how easy it is to compare to Guardians of the Galaxy – a movie which they could have come out before, but instead came out after. So Channing Tatum comes across as a poor-man’s Star Lord, rocket-skates and all. I guess he knows how to rocket skate really well because he used to fly? So I want to look more at two aspects of the film. One is the comparison to other science fiction, where I have found people comparing it to all sorts of other movies – but for me, there’s really only one main comparison. The other aspect I want to look at is the thing that I think could have made the film better – more characters! Maybe some spoilers to follow for Jupiter Ascending. We did this last year, and it was a lot of fun. What were the best and worst movie adaptations from existing source material? What we have to work from are our LitFlix, the movies we see after reading the source material. I’ll be writing about the comics adaptations of the year today, and Holly will cover the books tomorrow. Comics-wise, we are pretty good. And what a year for comics! Four big-name Marvel movies, some great independent comic adaptations, and a number of ones that may not be quite as good… which we may not have seen! So let me lay out my favorites both as a movie, and as an adaptation!